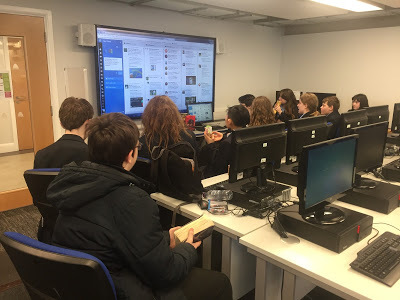 A Twitter author chat in progress at Glenthorne High School in London. It happened by accident. 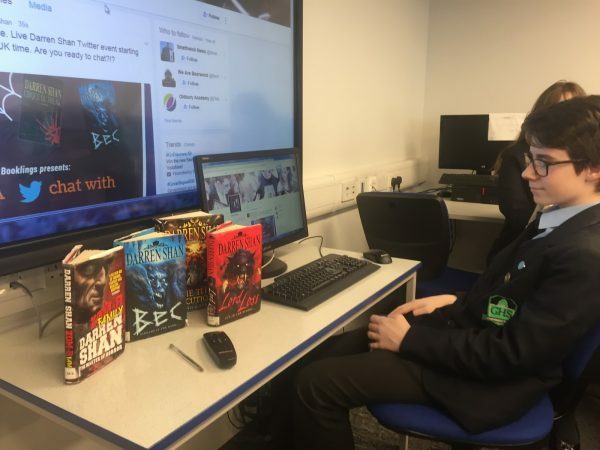 The Booklings, our high school book club at Glenthorne High School in London, UK, were supposed to Skype with an author during their lunch break. Five minutes before the event, the author emailed me, telling me that her Skype had stopped working. The Booklings were understandably disappointed. I told them that there wasn’t much we could do and started looking at the best times to reschedule. “Why don’t we just ask her a bunch of a questions on the library’s Twitter account?” one of the Booklings asked. I emailed the author asking if this would be OK. It was, and #BooklingsChat was born. The students had a great time taking turns at the laptop asking the author questions about writing, book recommendations, life advice, and a lot more. 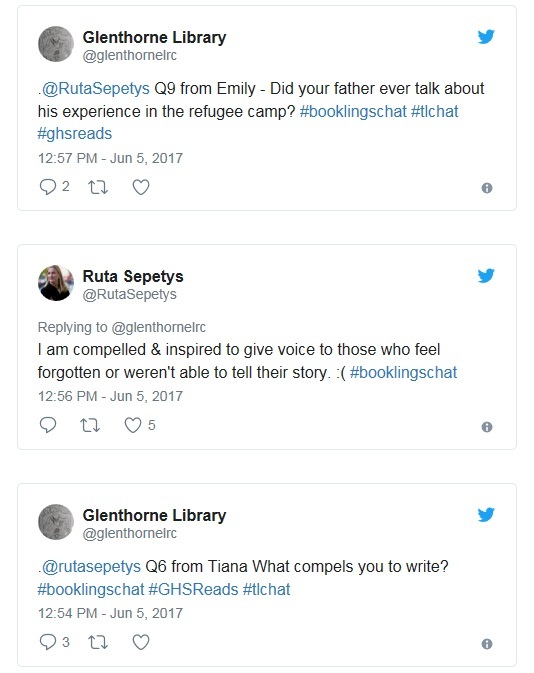 Three years later, we have Twitter chatted with over 30 authors, making #BooklingsChat one of our most popular programs. 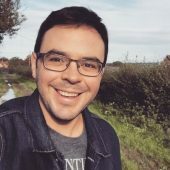 Here are some tips and tricks I’ve learned to get started. Our hashtag was easy, because our book club members have called themselves the Booklings from day one. 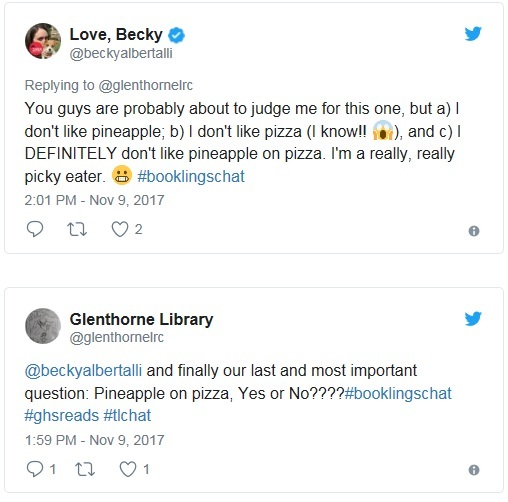 Whenever I organize a Booklings Chat with an author, I always ask them to respond using #BooklingsChat in their tweets so we can follow the thread more easily. It also allows us to go back and review it. I suggest you use your hashtag to archive your chat on Storify, a free and simple way to house your chats. The hashtag lets others take part in the fun as well. We’ve had some great moments where others have chimed in with their thoughts. So far—knock on wood—we haven’t had anyone try to sabotage or make inappropriate remarks during our chats. When I run a Booklings Chat, I let the students have complete control over the program. I either appoint one student library assistant to gather the questions, or they just go up to the computer one by one to ask. The students also suggest the authors that we talk to. You are of course going to hear them advocate for “J.K. Rowling!” which isn’t going to happen (believe me, I have tried). But once they get over that disappointing reality, they come up with some great suggestions. Ruta Sepetys, Becky Albertalli, and Lauren Oliver were all suggested by the Booklings. We had amazing chats with all of them. Our Booklings Chat takes place during our lunch hour, so the students have to be relatively quick while typing their questions. To help them, I have a Microsoft Word document pre-loaded on the desktop with #BooklingsChat and a basic welcome message written there. This way, the students simply have to copy and paste the message and the hashtag to save time. In some cases, I approach members of the Booklings well in advance to remind them to gather a few questions for an upcoming chat. Our program runs between 25 and 30 minutes, a time frame that’s always popular with authors. In that time, we can usually get through 10 to 13 questions. When we have a new author lined up for a Booklings Chat, I always make a poster using Canva to promote it. These posters get put up everywhere, including the staff room, so we can reach as wide an audience as possible. We also create a signup sheet so that anyone can come to the library during their lunchtime and chat with an author. This also helps draw in Booklings members, and it also puts the library on the map. When we talked with popular U.K. horror author Darren Shan, the excitement in the library and around the school was palpable. Publicizing the events in assemblies, classrooms, and with your student library assistants will pay off big time. This doesn’t mean be aggressive, but I never hesitate to email or Tweet to authors telling them how awesome our students are and how fun it will be to chat to them over Twitter for half an hour. Do a little extra research to find out when the authors’ next book is due for release, or even better, find debut authors. They are usually really excited to talk to potential new fans, plus you can (sometimes) say “Hey, we chatted with so-and-so before they were gazillionaries!” In my experience, 99 percent of the authors I have asked have been more than happy to chat with our students and it has resulted in some great exchanges. Originally from Nova Scotia, Canada, Lucas Maxwell (@lucasjmaxwell) has been working with teens in libraries for the past 10 years. In his spare time he writes YA book reviews and contributes to Book Riot. In Oct 2017 he was named UK School Librarian of the Year.